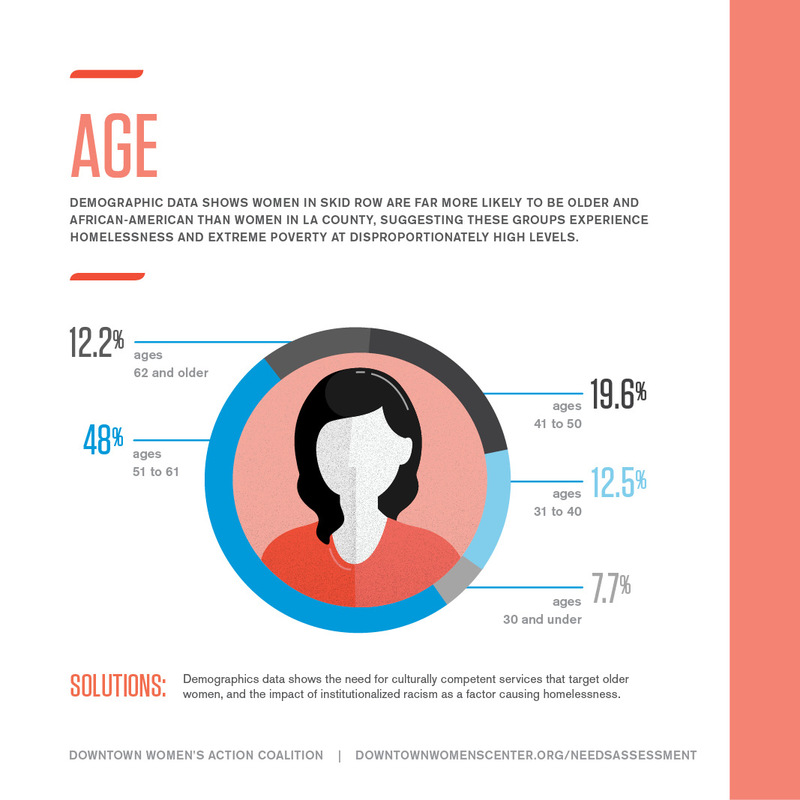 Women living in Los Angeles’ Skid Row speak out. 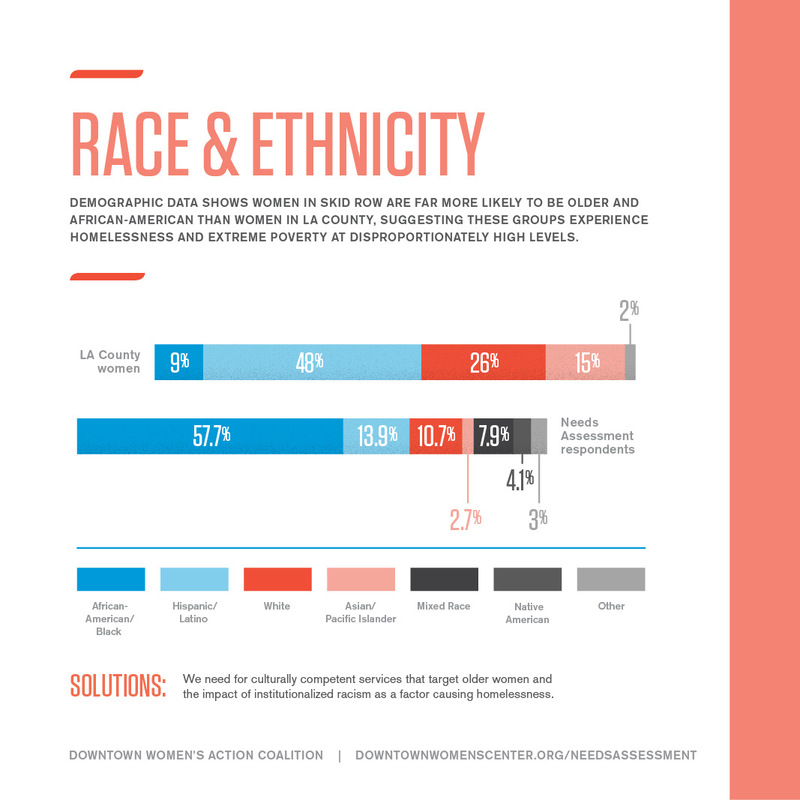 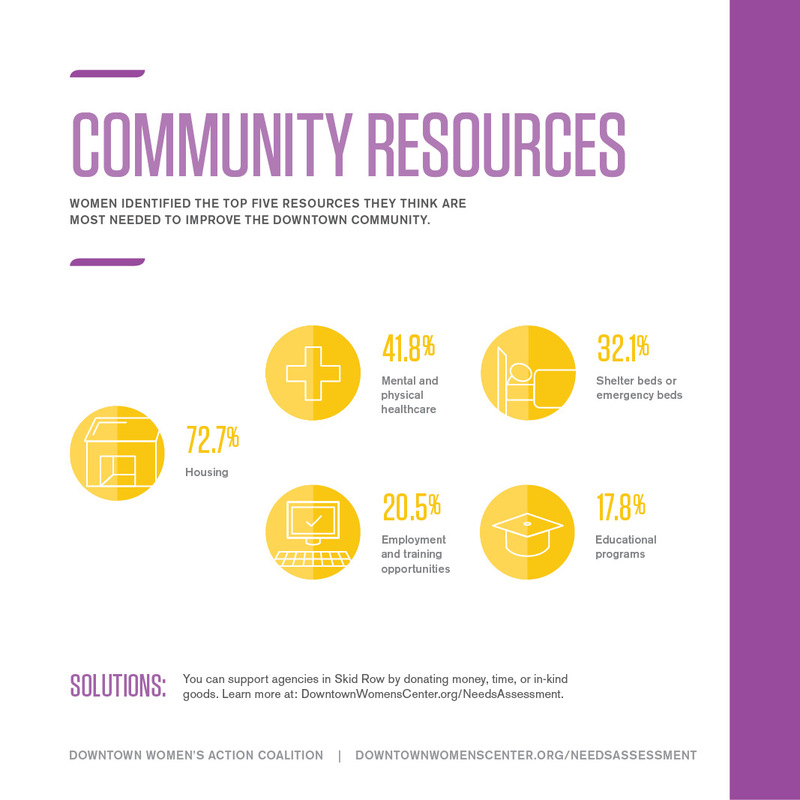 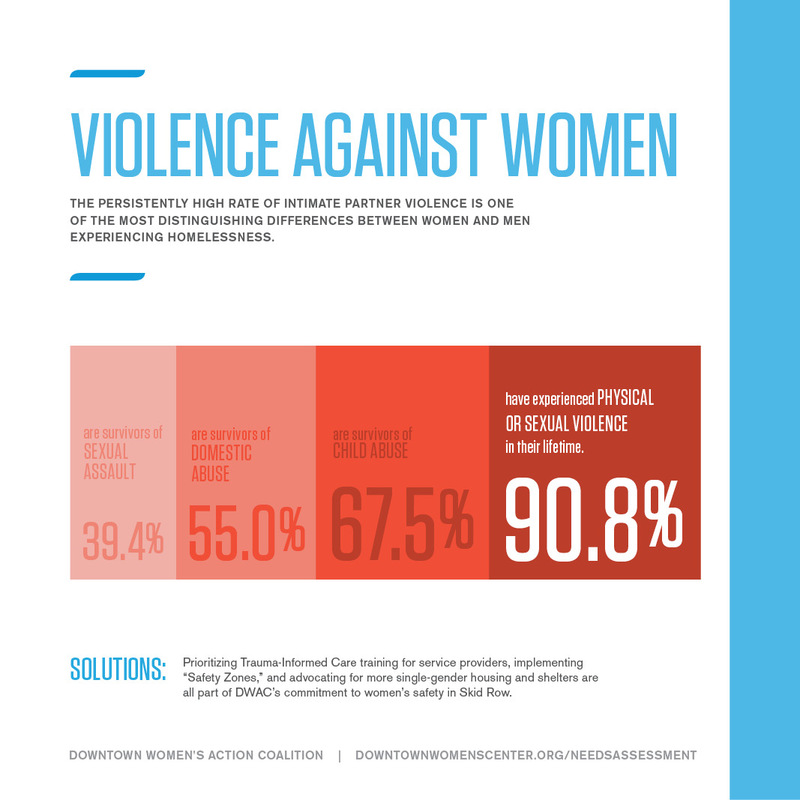 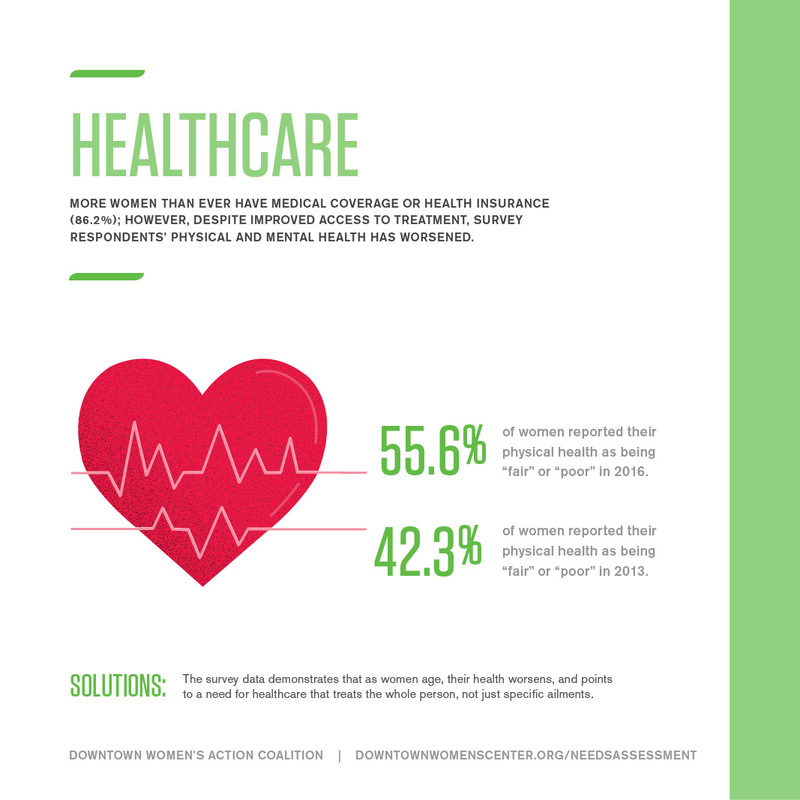 The 2016 Downtown Women’s Needs Assessment is a community-based research project conducted by the Downtown Women’s Action Coalition every three years. 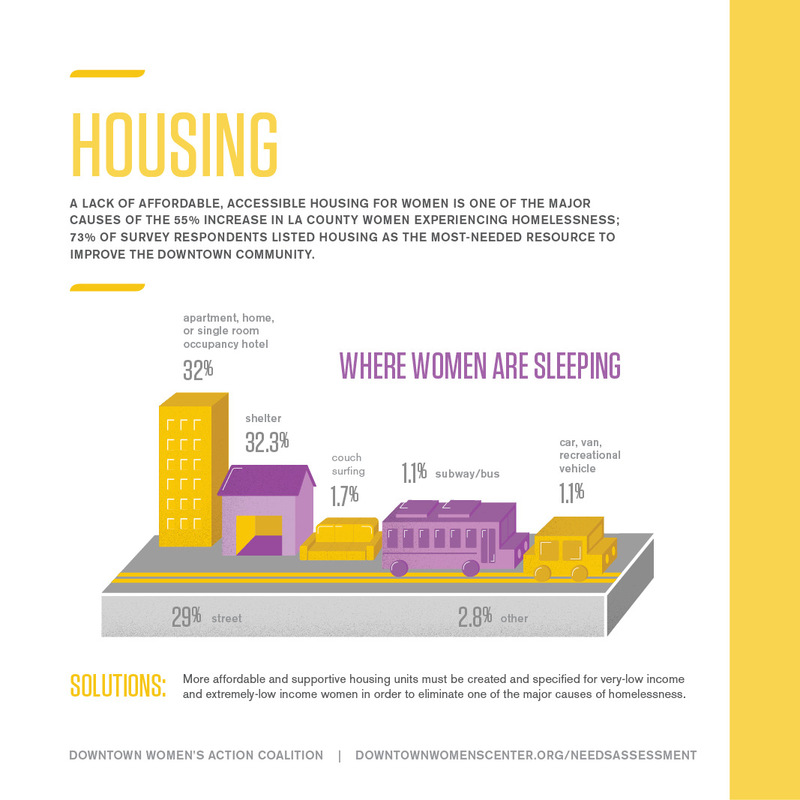 It is the sixth in a series of comprehensive surveys on the needs, characteristics, and conditions facing homeless and extremely low-income women living in downtown Los Angeles. 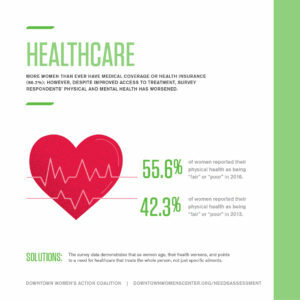 This year, three hundred and seventy-one surveys were collected on five main topics: Demographics, Housing, Healthcare, Violence Against Women, and Community Resources. Download the survey tool here. 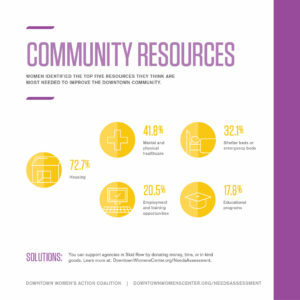 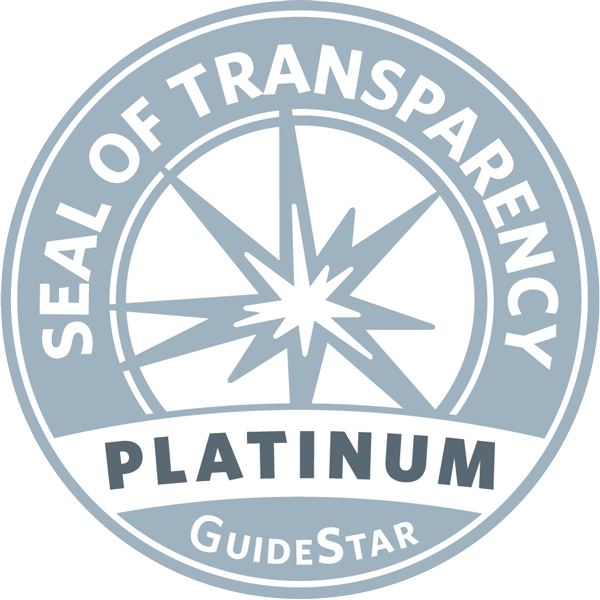 Read the 2013 report here.